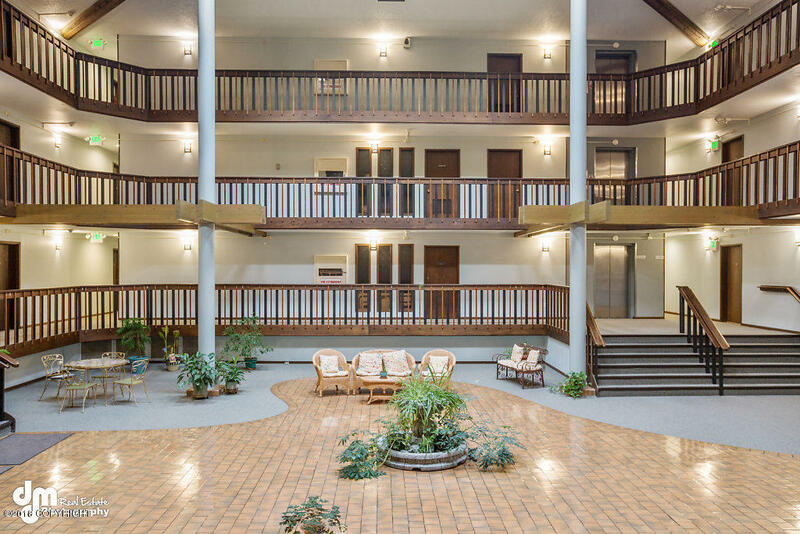 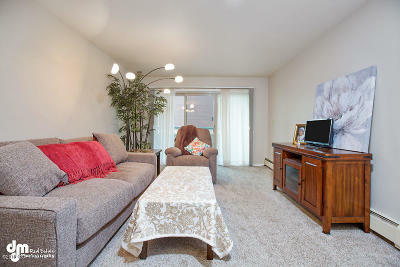 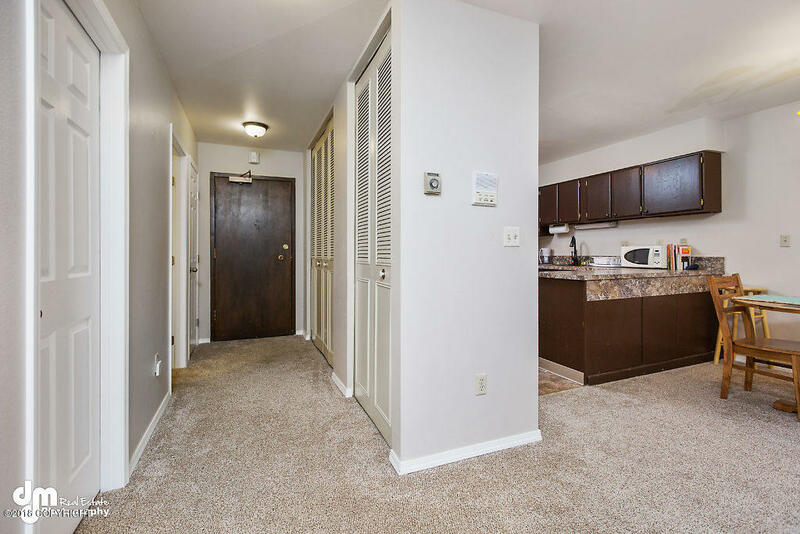 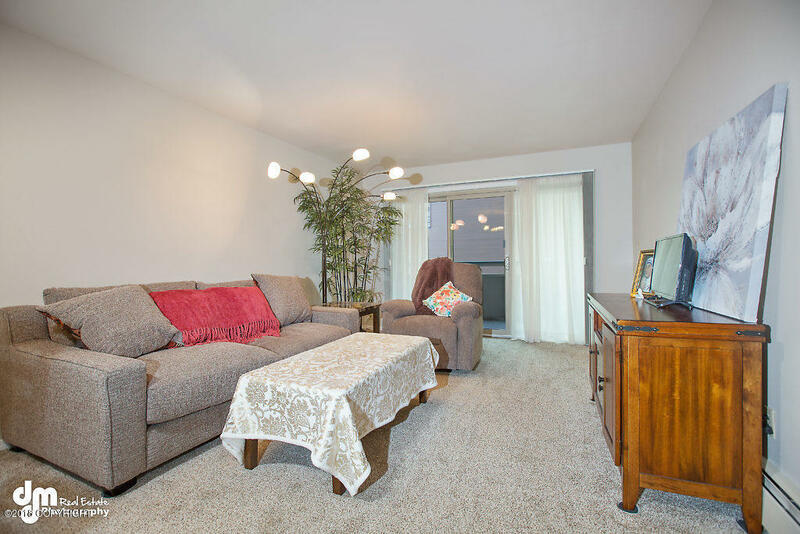 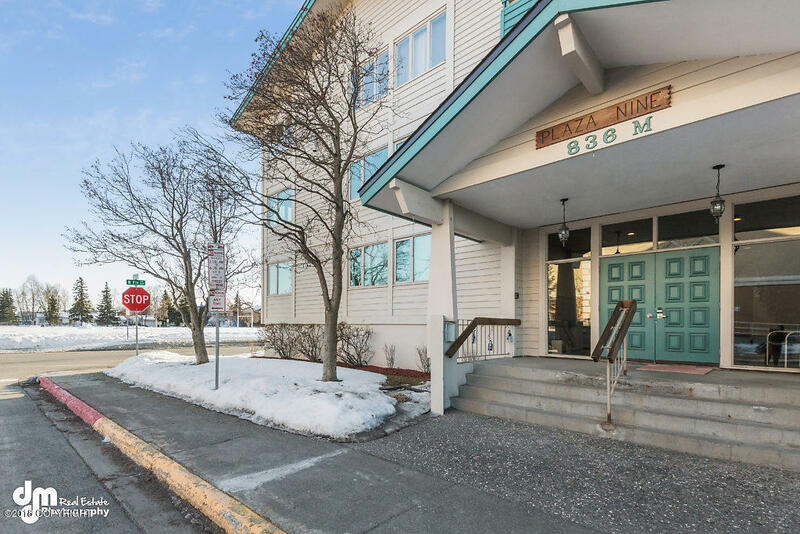 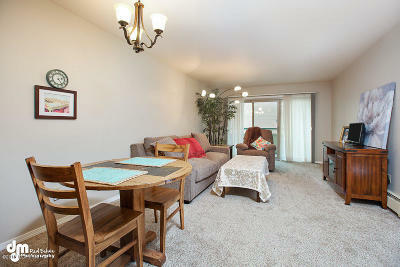 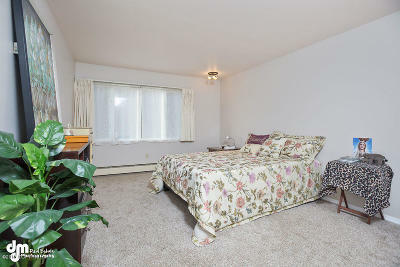 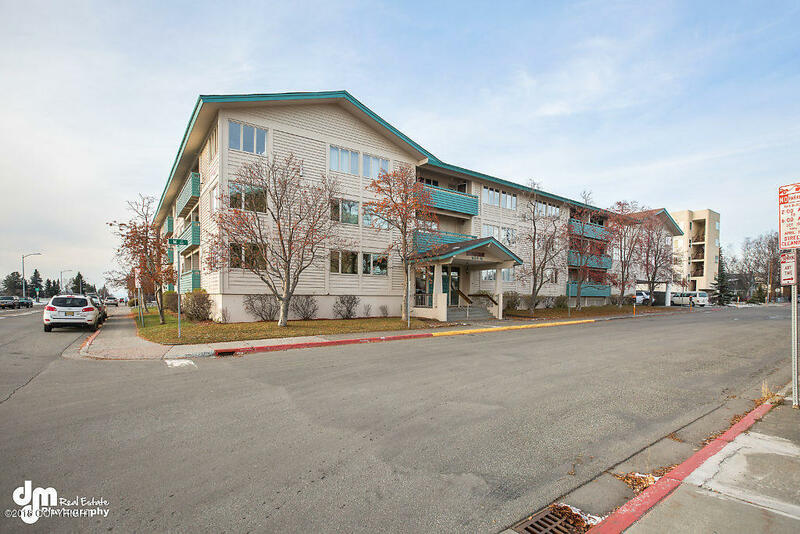 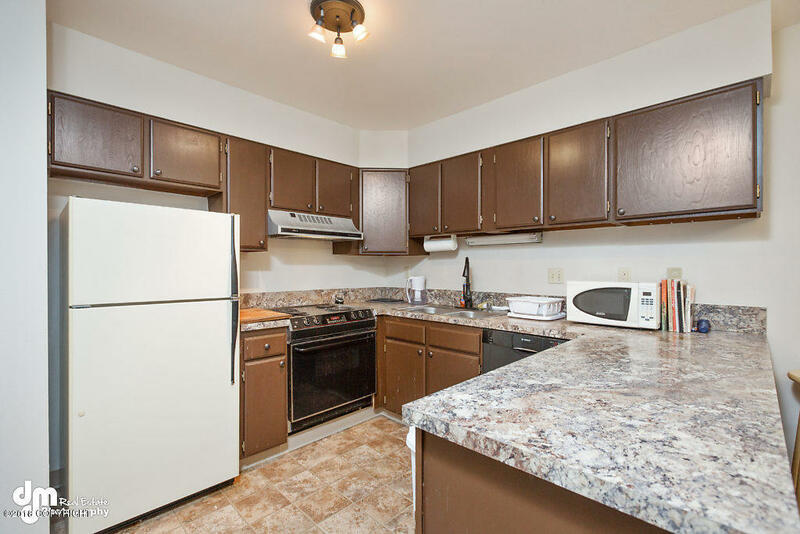 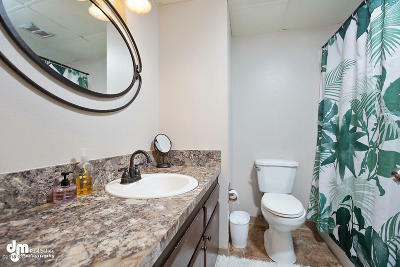 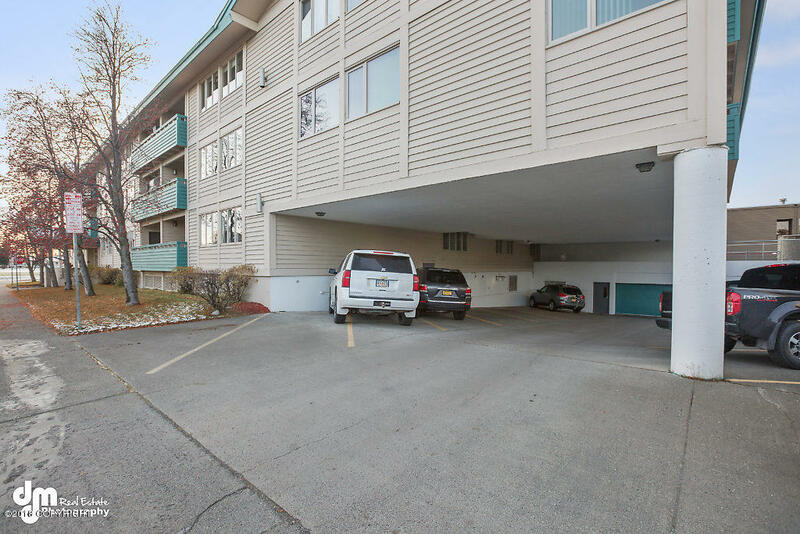 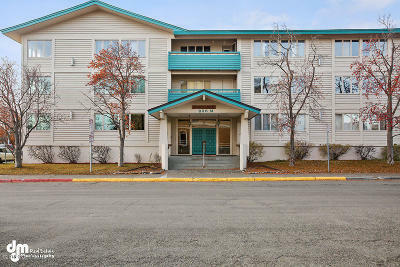 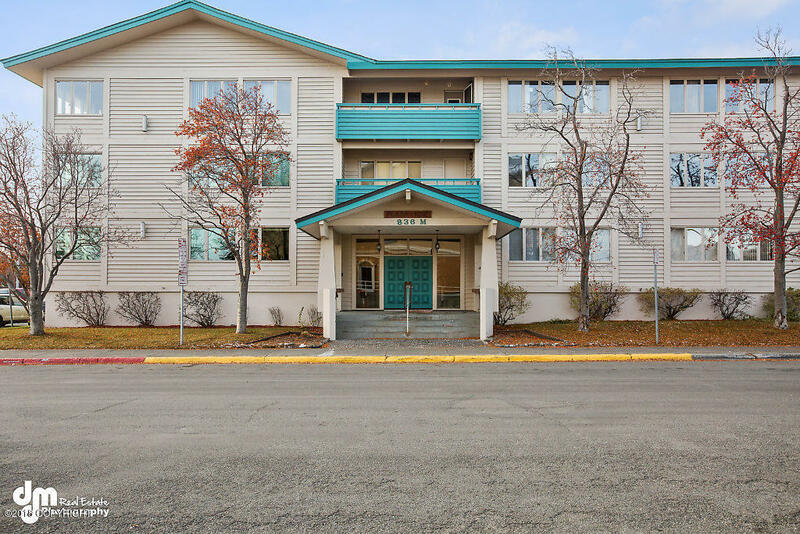 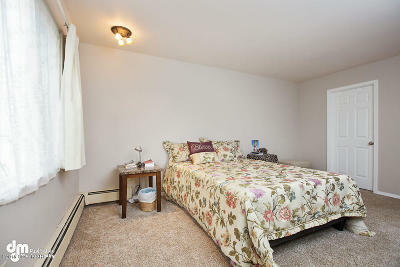 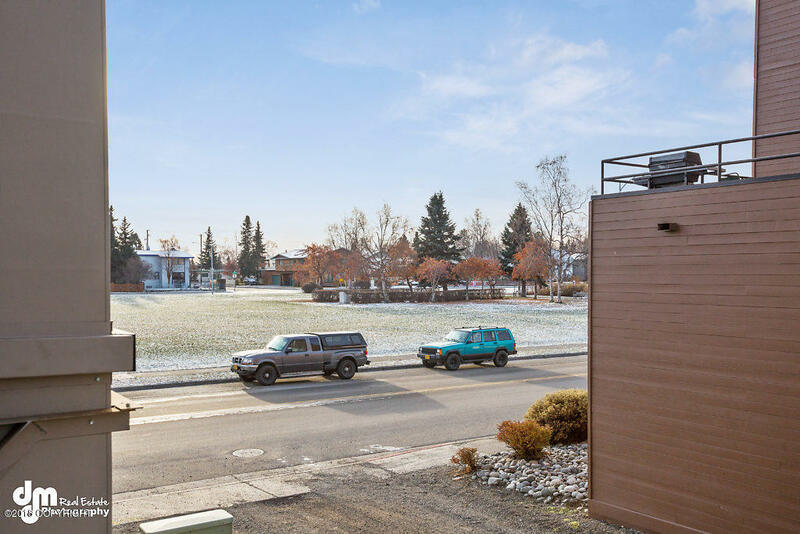 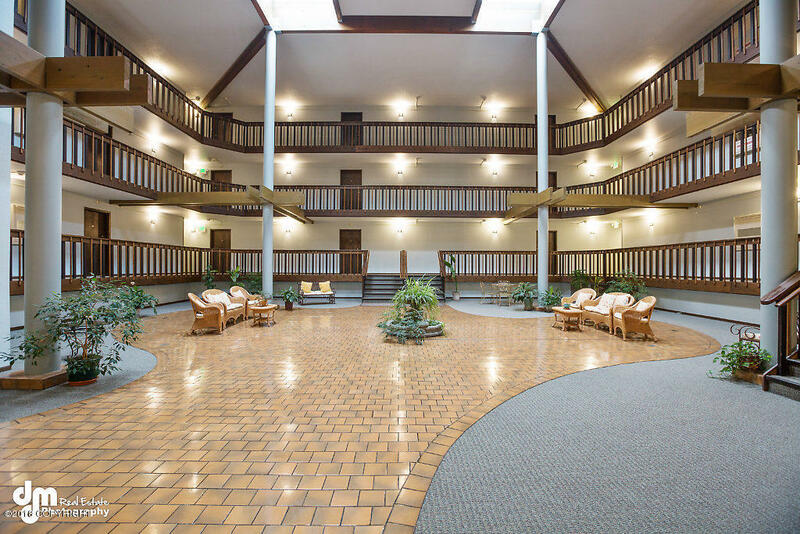 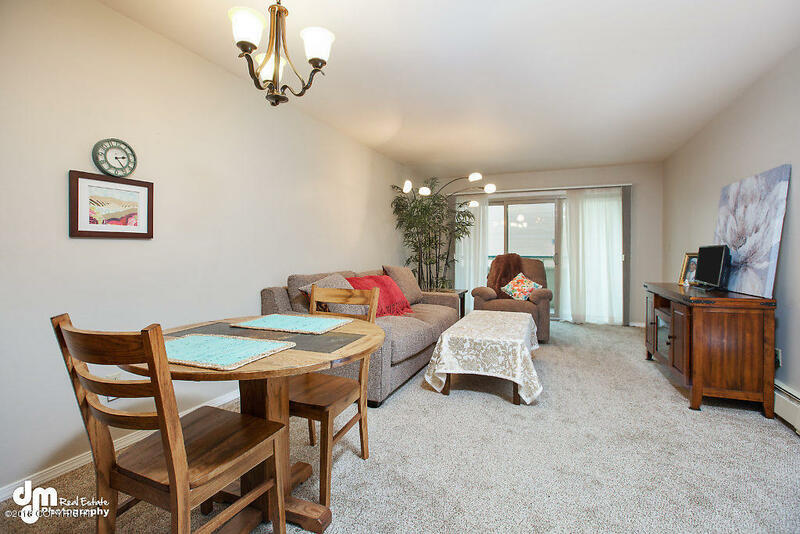 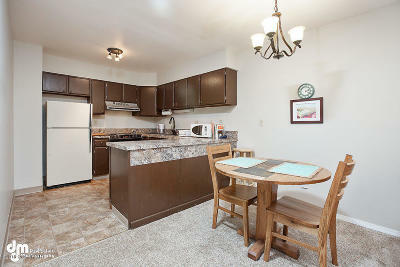 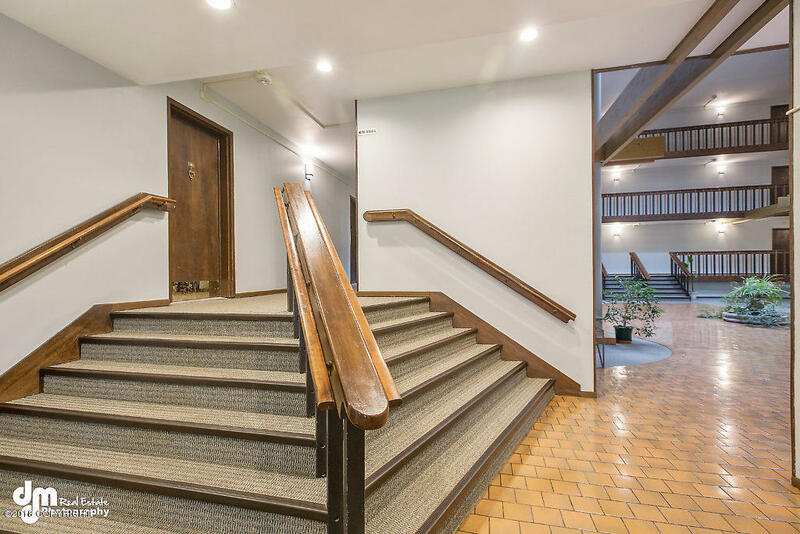 Located with direct access to the Delaney Park Strip in the heart of downtown Anchorage! Secure building, updated kitchen counters, cabinets, and flooring, spacious living room has west facing deck, bathroom is also updated. 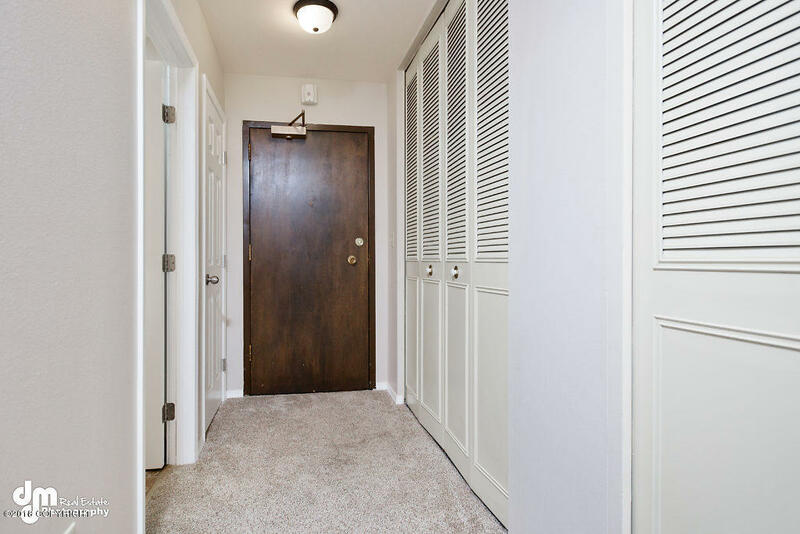 Big Walk in Closet in the bedroom. 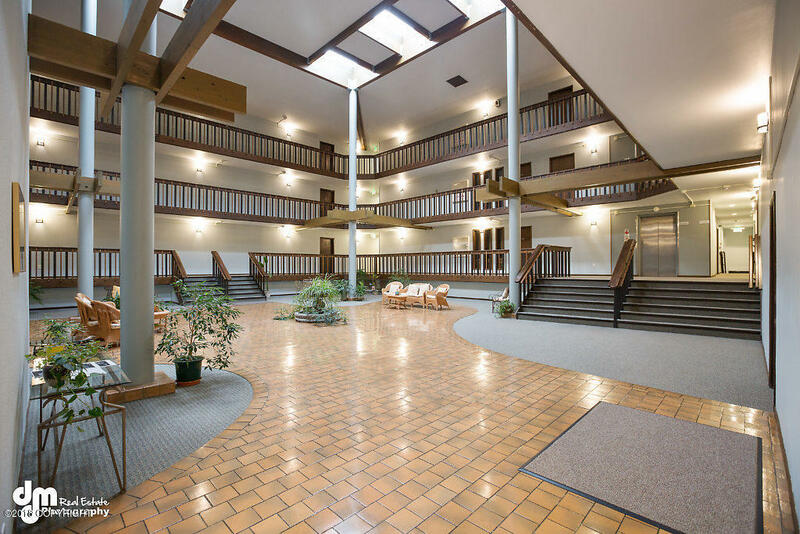 Peaceful and trendy. 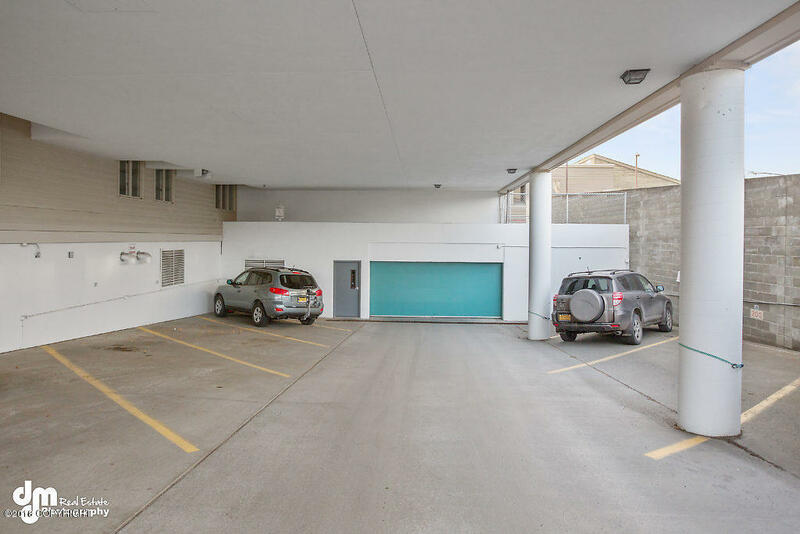 Designated parking in carport area for #109.